For those wishing to visit neighboring islands, inter-island ferries are a nice alternative to air travel. Look for Bleu & Or. 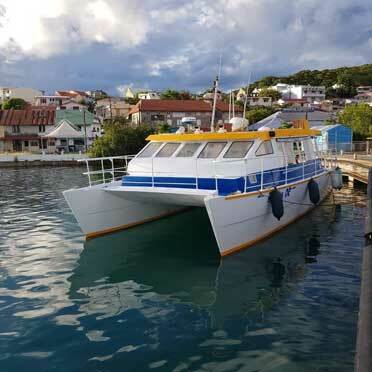 Based in Le Marin, opposite to the covered market, connects Le Marin to Rodney Bay, St.Lucia on a daily basis (except on Tuesdays). Departure at 7am (you need to be there one hour earlier). Duration: 90mn, €60€/80 round trip, incl. taxes). Check also their shopping tours.